This infrared radiant heated and toughened on the outside and radiant heated on the inside, this double glazing really packs a punch. 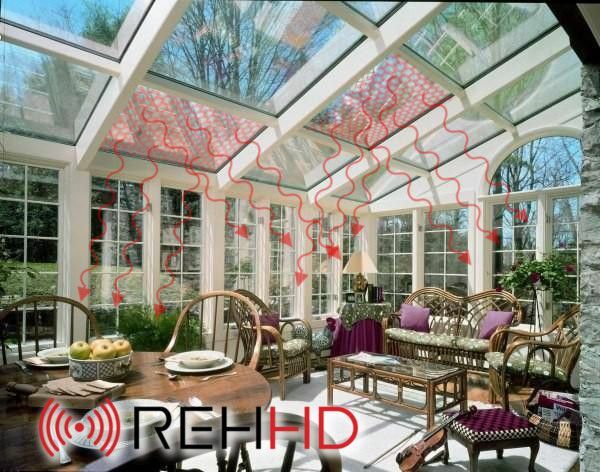 Providing all the heating a room will require this electrically heated glass emits infrared heat that warms all the objects in your room making it easy to maintain an even temperature at a fraction of the cost. 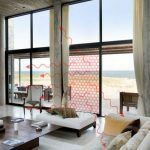 The unique perfectly transparent Nano-System heated glass is the future trend in heating. 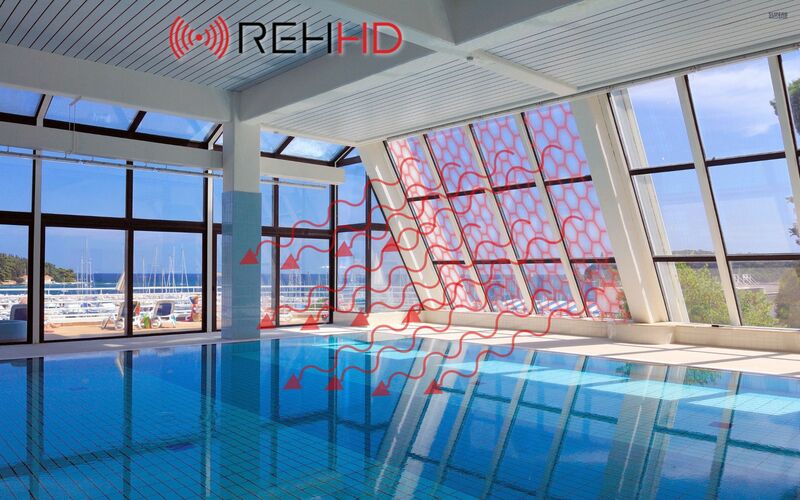 TG® Radiant Active electrically heated glass is insulating glass able to emit radiant heat up to 80° C. They represent a new dimension of solutions for the heating of modern buildings. They provide maximum thermal and visual comfort, prevent condensation and remove snow or ice. 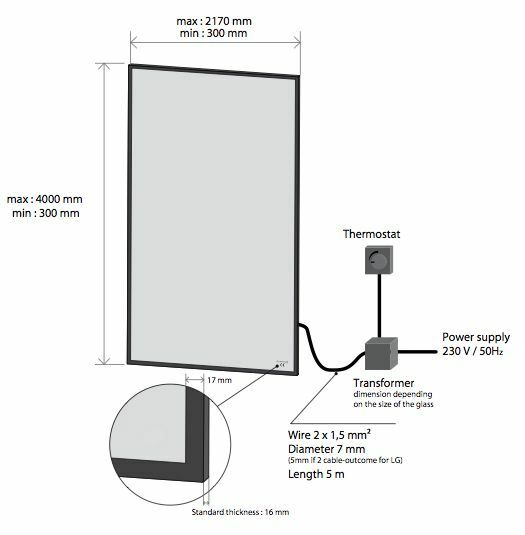 An absolutely transparent conductive layer is applied on the surface of the glass with unique innovative technology which acts as a heating element. 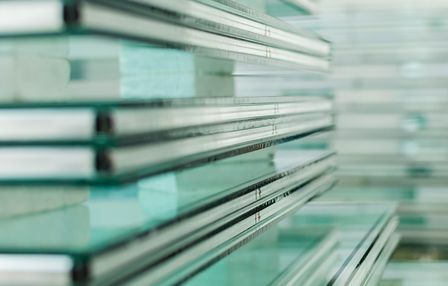 Visually, our glass is no different from conventional glass but its properties offer unique advantages that you cannot find with other glass. 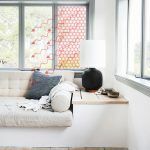 Using high-performance TG® Radiant Active heated glass you can afford bigger windows and still achieve the feeling of a similar thermal comfort of old tiled stoves or slightly blazing fire in a fireplace. 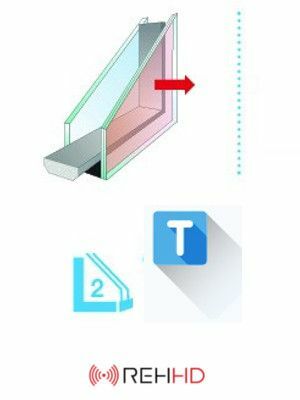 The surface temperature of TG® Radiant Active glass can be changed instantly according to your current needs in the range of 25-80 °C. By using TG® Radiant Active heated glass you will never be cold again when close to your windows even when it’s freezing outside so you can completely undisturbed enjoy the view of the winter landscape. Thanks to highly efficient and completely transparent TG® Radiant Active glass you can buy large windows and enjoy more natural light and a closer contact with nature. 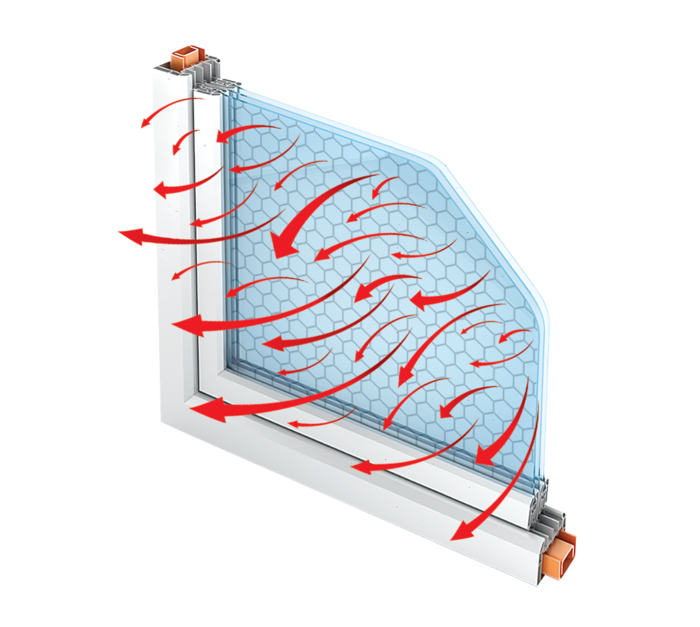 When using conventional glazing it is necessary to place the heating elements below the windows or in their close proximity. Conventional radiators often bring various restrictions and complications which can be due to the very appearance of the radiators, glass misting or dust between the ribs of floor radiators. Using TG® Radiant Active heated glass, radiators and misting just disappear and you can enjoy a more visual comfort and space. 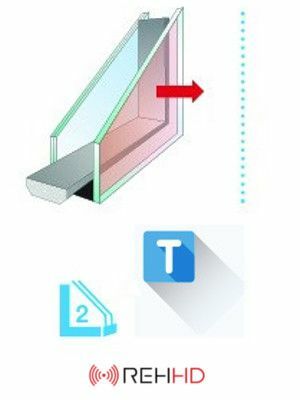 Large surface area, quality construction, the excellent visual and insulating properties of TG® Radiant Active glass allow its use as a primary heating source in most new buildings. 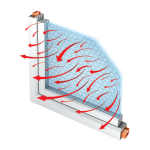 In the winter months when the temperature outside drops to zero, the so-called “cold window effect” happens in large glazed areas. 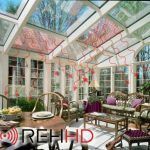 TG® Radiant Active heated glass removes this effect and creates a feeling of thermal comfort inside for the price of the lowest operating costs. 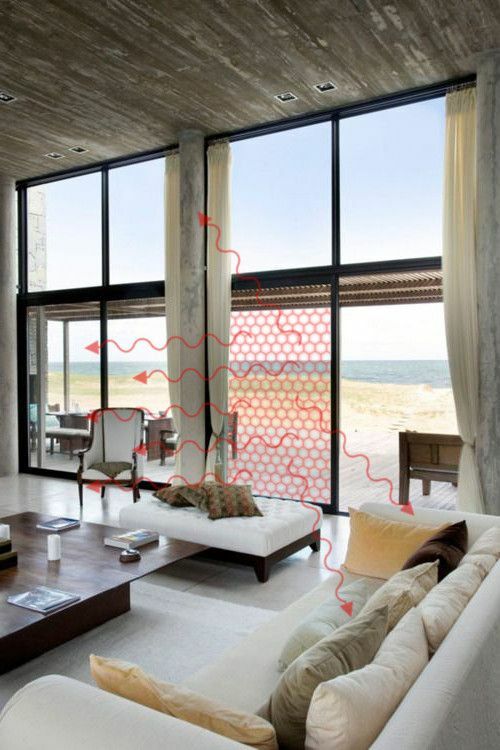 Larger glass areas tend to have condensation or water steams on the glass surface in winter due to poor air circulation. 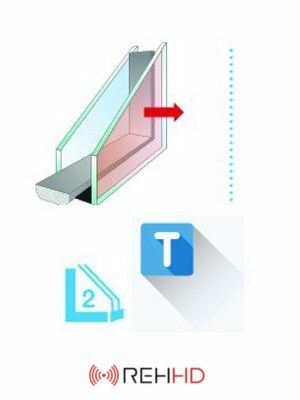 With TG® Radiant Active heated glass the formation of condensation is eliminated, there is no dew and the glass remains perfectly transparent. 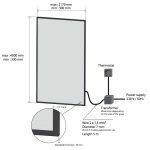 When the electric current is in the TG® Radiant Active heated glass it heats-up the glass and there is a uniform defrosting of ice and snow over the surface of the glass area. 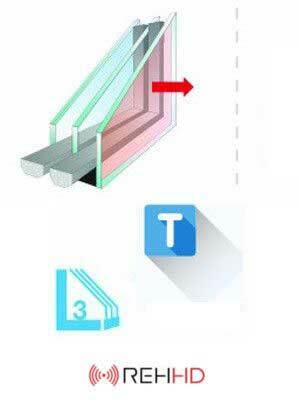 Using the latest types of glass in insulating double glazing and triple glazing, in addition to heating, TG® Radiant Active also offers excellent insulation properties complemented by a range of now standard features of modern glasses. The electrically conductive layer can be used as a sensor connected to the security system alarm. 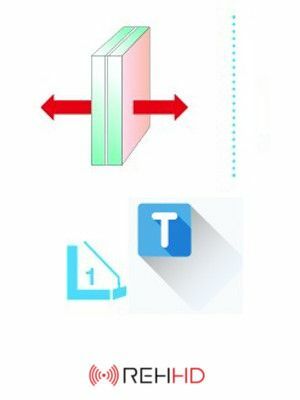 All our glasses are tempered (when broken shards are not formed). 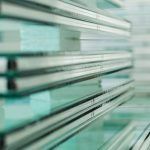 In the case of increased demands on the safety we use unbreakable TG® Triplex Safety laminated glasses.